This article is about Firefox's profile folder. See also Profile folder - Thunderbird and Profile folder - SeaMonkey. Firefox stores a user's personal information such as bookmarks, extensions, and user preferences in a unique profile. The first time you start Firefox, it will automatically create a default profile; additional profiles can be created using the Profile Manager. The settings which form a profile are stored in files within a special folder on your computer — this is the profile folder. The Firefox profile containing your user data and settings is not found in the installation directory but rather in a separate location on your computer. Use the information given below to find your Firefox profile folder. In the Firefox menu, click on the "Help" menu item ("?" in current versions) and select "Troubleshooting Information". (Alternatively, enter about:support in the address bar.) The about:support page will open. On Windows and Linux, depending on Firefox version, click on "Show Folder" (Windows) "Open Directory" (Linux) or "Open Containing Folder". On Mac OS, click on "Show in Finder". Profile folders are placed in a common location by default but are named randomly for additional security (e.g., "xxxxxxxx.default" is the profile folder name for the "default" profile, where xxxxxxxx represents a random strung of characters). If you created a new profile and chose a custom location, see Other methods of finding a profile below. On Windows 2000 and above, Linux, and starting in Mac OS X 10.7 Lion, the parent folder containing your profile folder is hidden by default and you will need to show hidden files and folders to navigate to the profile folder. 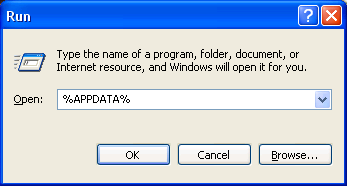 %APPDATA% is a variable represents the C:\Documents and Settings\<user name>Application Data folder on Windows 2000/XP and the C:\Users\<user name>\AppData\Roaming folder on Windows Vista and above. Click OK. A Windows Explorer window will appear. In this window, choose Mozilla → Firefox → Profiles. Each folder in the "Profiles" folder (e.g., "xxxxxxxx.default") is a profile on your computer. 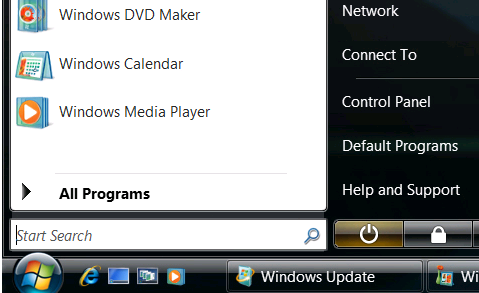 Click on any of the profiles (e.g., xxxxxxxx.default) to open it with Windows Explorer. The ".mozilla" folder is a hidden folder. See this article for more information. To show hidden files in Nautilus (Gnome desktop's default file browser), choose "View -> Show Hidden Files". For OS X 10.7 Lion and above, the ~/Library folder is hidden by default. See this article to make it appear. Specific files in profiles can be found by using the file and folder search feature of your operating system. This is also useful for finding profile folders that are not in the default location. In Windows 2000 and later, you must ensure that you're including hidden files and folders in the search, as detailed in this article. You can use the following technique to find the location of the profile that you are currently using. This is useful, for example, if you are using a profile that is not in the default location. The easiest method is with an extension. Open Profile Folder will open your current profile folder from "Tools" menu or toolbar button bringing it up with your system, or optionally with another application. Up one directory from your profile is the Profiles directory which contains one or more profiles, and one directory above that is the Firefox directory which contains Crash Reports directory, Profiles directory, and profiles.ini file. The profiles.ini is a map of profiles used by the Profile Manager. You can select a profile to use, create a new profile, and delete or rename an existing profile using the Profile Manager. Profiles can become corrupted, in which case you need to create a new profile then transfer your data and settings to the new profile. To safeguard your important data you should make a backup copy of up your profile. It is possible to change the location of the Firefox profile folder but you should read this article for instructions. If you delete, rename or move the profile folder, Firefox may report that it is "already running, but is not responding" when you next start the application (bug 278860). See this article for more information. None of these files should be write-protected ("read-only" or "locked"), which might be a side effect of backing up the profile to removable media and then restoring your profile from that media. Having read-only or locked files in the profile can result in serious profile issues, as described in this article. It's not recommended to edit these files directly. Instead, use their respective interfaces. The three files whose names begin with "user" are exceptions to this—they are designed to be edited directly. For more information on these three files, follow their links in the tables below. bookmarkbackups 1.5 and above Daily rotating backups of your bookmarks. Cache Linux - all versions. Mac OS/Windows - previous to 1.5 Contains cached Internet files. Note: In 1.5 and above on Windows, only profiles in custom locations include the Cache folder. Use about:cache to find the location. See browser.cache.disk.parent directory. OfflineCache 3.0 and above, as noted Second disk cache for off-line usage. Note: Only profiles in custom locations on Windows include the OfflineCache folder. Use about:cache to find the location. chrome 3.6 and below (?) Contains userChrome-example.css, userContent-example.css, and the optional userChrome.css, userChrome.js, and userContent.css user customization files. Note: The chrome folder is no longer created by default (as of Firefox 4?).  . microsummary-generators 2.0 and above Regularly-updated succinct compilations of the most important information on web pages. blocklist.xml 2.0 and above Automatically downloaded list of blocked add-ons. bookmarks-(date).html in bookmarkbackups Previous to 3.0 Daily rotating backups of your bookmarks. compatibility.ini Stores version and path of the application this profile was last used with. When the profile is loaded with an application of a different version/path, the XPCOM components registration process is triggered. This file is automatically generated and can safely be deleted. components.ini Previous to 1.5 Lists extension folders with XPCOM components. Replaced with extensions.ini in 1.5.
content-prefs.sqlite 3.0 and above Individual settings for pages. defaults.ini Previous to 1.5 Lists extension folders with default pref files. Replaced with extensions.ini in 1.5.
extensions.cache Previous to 4.0 Lists installed extensions, their IDs, and the folders they are installed to, along with their last-modify time. It is used, for example, to register extensions installed by dropping a folder into one of known install locations. This file is automatically regenerated and can be deleted to resolve various issues. extensions.ini 1.5 and above Lists folders of installed extensions and themes. The file is automatically generated by nsExtensionManager and is used by low-level code to detect chrome packages and XPCOM components provided by installed addons. Can be deleted to resolve various issues. history.dat Previous to 3.0 Browsing history. Can be deleted to resolve various issues. hostperm.1 Previous to 3.0 Per-site preferences for allowing cookies and popups. kf.txt 2.0 Key database for phishing protection. permissions.sqlite 3.0 and above Permission database for cookies, pop-up blocking, image loading and add-ons installation. places.sqlite-stmtjrnl 3.0 and above ? pluginreg.dat 3.0 and above Registration of plugin MIME types. Previous to 3.0, pluginreg.dat was located in the "Firefox" folder containing the profiles. urlclassifier.sqlite or urlclassifier2.sqlite or urlclassifier3.sqlite 2.0 and above Phishing and Attack site protection data. urlclassifierkey3.txt 3.0 and above Key database for phishing protection. xpti.dat Lists registered XPCOM interfaces. Automatically regenerated whenever XPCOM registration process is triggered. XPC FastLoad File (Mac OS X) ? These files and folders are located in the "Firefox" folder (Windows and Mac) or "firefox" folder (Linux and Unix) containing the profiles. Crash Reports 3.0 and above Crash report files for Breakpad. pluginreg.dat Previous to 3.0 Registration of plugin MIME types. In 3.0 and above, pluginreg.dat is located in the profile folder. profiles.ini Keeps track of profile location. Can be edited to point to a moved profile folder. If deleted, profiles.ini will be regenerated along with a new default profile folder upon program restart. registry.dat ? Kept track of profile location in early Firefox versions (no longer used).